23andMe announced that they have added a new Carrier Status report on a serious, but rare, condition that can lead to excessive insulin production. The condition is called familial hyperinsulinism. 23AndMe users can now discover if they are a carrier of the gene that causes this rare condition. Familial hyperinsulinism is a disease where there are abnormally high levels of insulin, a hormone produced by the beta cells of the pancreas that helps control blood sugar levels. People with familial hyperinsulinism have frequent episodes of low blood sugar that can occur even while eating. In babies and young children, these episodes are characterized by a lack of energy, irritability, complications such as breathing difficulties, seizures, intellectual disability, vision loss, brain damage, and coma. The severity and onset for familial hyperinsulinism varies. In about 60% of the cases, the episode start within the first month of life and are severe and difficult to manage. In other cases, the disease starts in childhood or later, and the symptoms are mild. Early diagnosis is important to prevent neurological damage from hypoglycemia. 23andMe points out that familial hyperinsulinism (FHI) is a congenital disease that is most commonly found in people with Ashkenazi Jewish, central Finnish, and Saudi ancestry. The full title of this new Carrier Status report is: “Familial Hyperinsulinism (ABCC8-Related)” and it tests for three variants in the ABCC8 gene that cause FHI. These three variants cover about 97 percent of ABCC8-related FHI variants in people of Ashknazi Jewish descent, and about 41 percent of variants in people of Finnish descent. People who carry one of the gene variants that causes FHI have a slight risk of developing a form of FHI. That being said, the report is most relevant for prospective parents who could pass a ABCC8 gene variant on to their children. The “Familial Hyperinsulinism (ABCC8-Related”) Carrier Status Report has a tutorial that customers can go through before viewing their report. In addition to the tutorial, the report itself offers details on the condition, the specific variants tested for and the scientific details supporting the report. 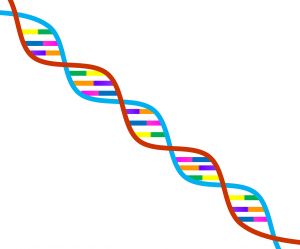 There are also links to information about genetic counseling and support group resources.